Helps you easily record Whatsapp video calls. One of the most popular messaging as well as video calling applications, Whatsapp is being used by numerous people for business as well as personal usages. Often, many official discussions on Whatsapp need to be recorded by Whatsapp video call recorder for further check or people wish to capture the memories like sharing the first glimpse of a child with your parents who stay in a distant land. To save any important moment, discussions, or thoughts Whatsapp video call recorder is the best solution. Are you aware that apart from installing Whatsapp video call iphone and Whatsapp video call android, you can enjoy the Whatsapp live video call feature on your desktop too? Yes, you read it right. Just install the Whatsapp Video Call for PC and get going. You can download WhatsApp on your Windows PC or your Mac, or you can also use the WhatsApp Web without downloading. Scan the QR image on starting page to connect your WhatsApp app on iPhone, Android or Windows phone with the WhatsApp Web or the WhatsApp desktop application. You can ask your WhatsApp contact to make a WhatsApp call to you and then you will receive the call from your PC or Mac. If you want to make a WhatsApp video call on your desktop, you may need to use a third-party software like BlueStacks APP player first, and then download and install the WhatsApp in the BlueStacks App player. After you install WhatsApp, sign in with your account, you will see the Call option and you will also be asked for the permission of using the webcam on your laptop. If you wish to record and save the live video call on the desktop, one of the best names is Filmora Scrn Whatsapp video call recorder. With Filmora Scrn, you can easily and conveniently record your Whatsapp video calls in just a few simple steps. Whether you purchase a licensed version or download the trial version of Filmora scrn Screen Recorder Software, you need to click on the blue coloured Install box to start downloading the software. On this page you get 3 options. Firstly, Quick Capture, which can start recording the last saved page on the PC instantaneously. 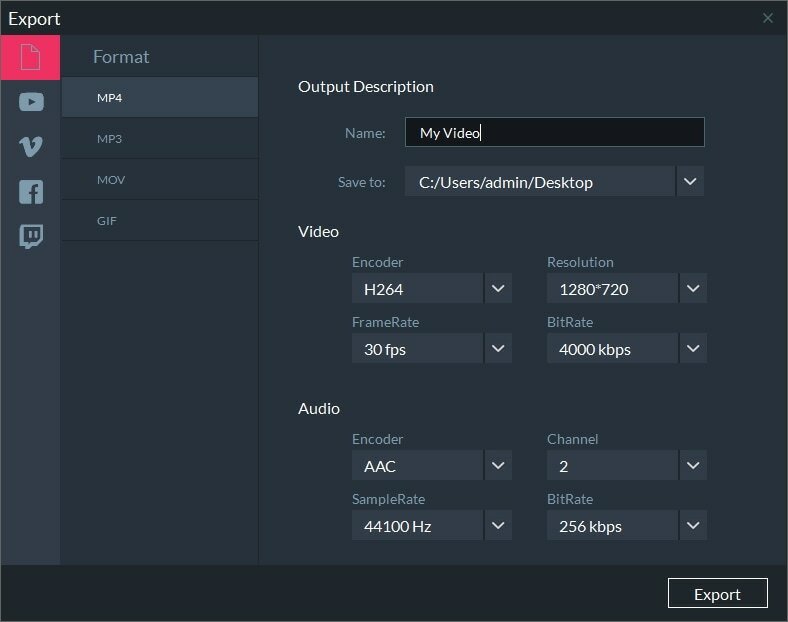 Secondly, Video Editor, that lets you edit the saved file from your PC, and lastly, the Get Started option that lets you explore all the features, set the parameters and then start recording. The last one is the best option to choose. First, the screen tab on the Set up page of Whatsapp video call recorder, where you may open the record the Whatsapp live video call from the Screen Capture drop-down menu and then select the frame rate 30 fps from the Frame Rate drop down menu. Second tab is the Audio, where you may select the source of the audio like whether you use the microphone or the computer to select the audio files. Third Camera and fourth Advanced tabs are optional. The camera tabs allows you to choose the video source and the advanced tab allows to set up the hotkeys like resume and pause the Whatsapp video call recorder pressing F9 and resume and stop the live video call using the F10 keys on the keyboard. After making all the selections, the user clicks on the right down corner’s blue colour Capture button on the Set up page. This page allows you to check all the parameters set on the Screen and audio tabs, and go ahead with the recording. The Whatsapp video call recorder is set aptly to adjust the recording screen to fit the play window and then start capture. When you hit the F10 key to stop the video, immediately you are taken to the Your Clips page where you may select the files that need editing and click on “Go” in the right down corner to export the clips to the Editor Screen. All the selected clips of the Whatsapp video call recording that needs editing open in the Editor Screen. This page allows you to access various advanced and basic edit options like cutting, trimming, cropping, de-noising, high 4k resolution, resizing, rotating, annotations, cursor effect, and much more. The final step is to click the Export button at the top right corner of the Editor Screen Page and reach the Export page to convert the files in any one of the given formats like .mov .gif .mp4 and save it on your computer or share it directly on some of the supported social media platforms. This is how you may use the Whatsapp video call recorder and take the advantage of the Filmora Scrn to record the videos directly from your desktop. Beside recording the WhatsApp video call, you can also use Filmora Scrn to record your WhatsApp Chat and export it to an interesting GIF. Today, more or less every individual carries an android phone and Whatsapp video call android features are the best that one can ask for. Yet, one drawback is that Android doesn’t have a built in recorder. So, one of the most recommended call recorder for android is the AZ screen recorder . Let’s see how you can record Whatsapp video call in android. 1. 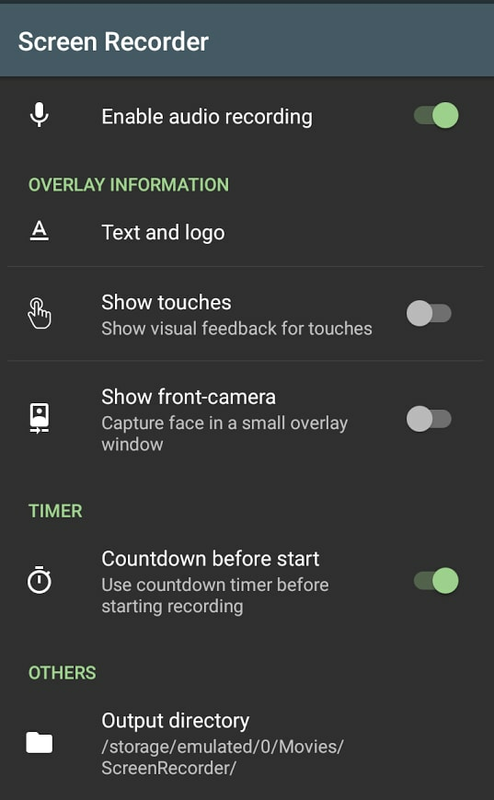 Google play store offers free download of the AZ Screen Recorder, Download and install the App. 2. Click on the AZ Screen Recorder app from your mobile screen. Once you tap the icon, a popup widget appears on the top of the screen and it remains there. 3. You must also ensure from the AZ Screen Recorder settings that the audio is enabled by clicking on Audio Configuration and switch on the button beside the Record Audio. 4. Open Whatsapp application and make a call to the person you want to record with the Whatsapp video call android recorder. 5.Once you start the call, tap the Az Screen Recorded pop up widget to open the recorder icon and after you end the call, stop the recorder from the notification panel at the top. 6. 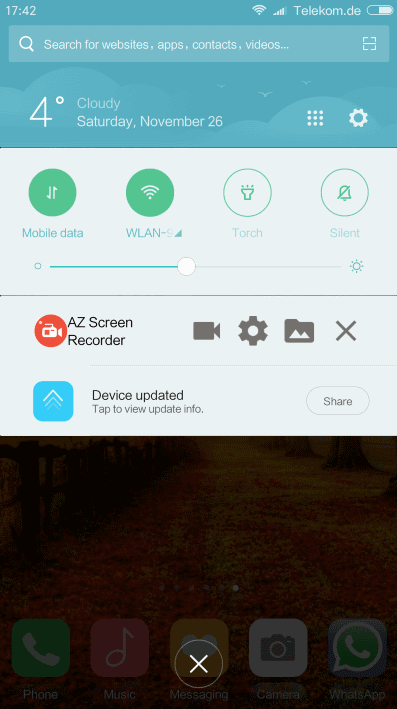 When you receive an incoming Whatsapp video call on your android device, you may directly open the Az Screen Recorder by tapping the app from the app drawer to record the Whatsapp video call. 7. And, finally, your Whatsapp video call in android device is automatically saved. IOS 11 also has a built-in screen Whatsapp video call iPhone recorder. So, let’s see how to record your iPhone screen. 1.To add the screen to your include list, tap the + symbol, next to the Screen Recording. 2. 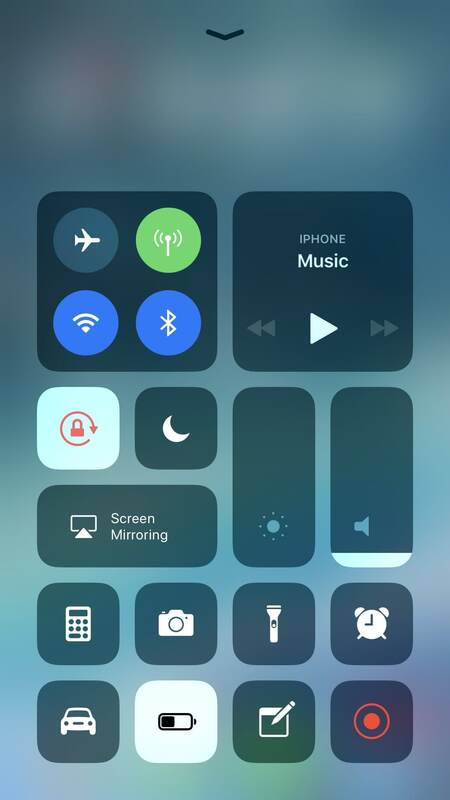 When setting up the app is complete, to record the Whatsapp video call in iPhone, click the Control Centre by swiping the home screen of your mobile. 3.Tap the Screen Recording button and wait for 3 seconds to start recording. And then you can launch your WhatsApp app on your iPhone, find the contact that you want to make a video call, and make the call directly. 4.To record audio while recording Whatsapp video call in iPhone, press the screen recording button deeply and tap on the Microphone Audio. 5.Red color status bar at the top of the screen can be tapped and then press stop to finish the recording. Users definitely have their own choices when it comes to recording Whatsapp video calls based on their own situation, device types, etc. But, if you truly wish to enjoy a high resolution video that can be customized as per your wishes with loads of editing options, Filmora Scrn Whatsapp video call recorder has no competition. Sometimes choosing to record on the desktop has more benefits with its large screen than recording in any iPhone or android devices. 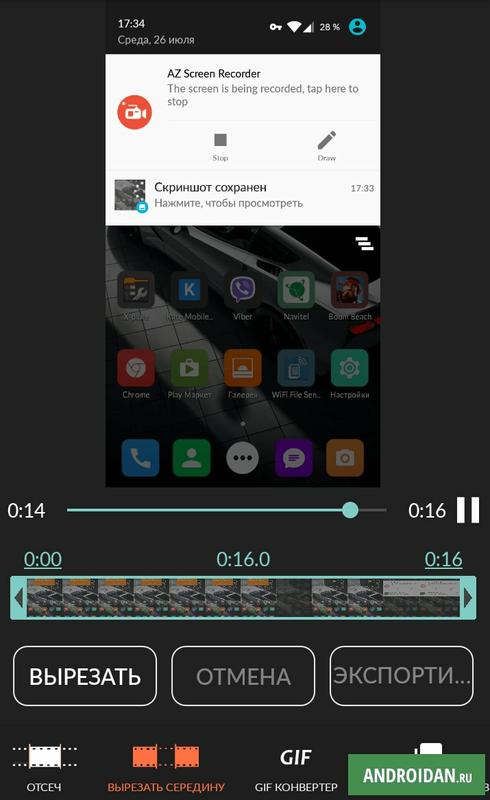 Recommended video editor for editing recorded WhatsApp videos: Wondershare Filmora9. With Filmora9, you can remove the background noise or cut out the unwanted frames with ease. As I read your article, I feel like it is so easy to record WhatsApp calls. Thanks for a thorough explanation. I also recently found a tool for recording WhatsApp because I badly need a recorder whenever my boss calls and says what he wants me to do. I found a similar article and it also enumerates some tools. I gave every tool a try and found that Acethinker iPhone Screen Recorder was the best among the given tools. It works professionally and very easy to use. But now that I read your article, I have other choices for recording WhatsApp calls.